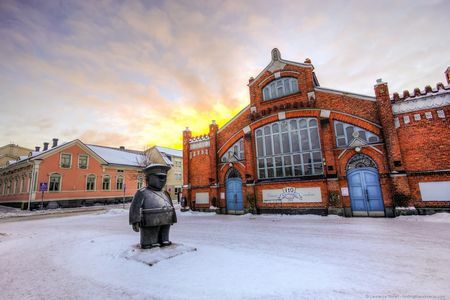 The CPMR Baltic Commission will hold its annual General Assembly on 15-16 May in Oulu (Finland), bringing together BSC Member regions, partners from the EU institutions and external stakeholders. Discussions will focus on the future of European and Baltic Sea Cooperation for the post-2020 period, in view of the Commission’s legislative proposal on the EU budget. Chaired by the President of the CPMR Baltic Sea Commission, Jari Sainio, the event will be opened by Regional Mayor Pauli Harju, Regional Council of Oulu, and Mayor Päivi Laajala, City of Oulu. The event will offer the opportunity for representatives of regions to discuss the recently published Commissions legislative proposal on the future of the EU-budget on its potential implication on the European and Baltic Sea Cooperation. Ms Erja Tikka, Ambassador for Baltic Sea Affairs, will share her views about the evolution of Cohesion Policy and its impact on the EU Strategy for the Baltic Sea Region. Eleni Marianou, CPMR General Secretary, will outline the CPMR reflection and analysis of the budget proposal. During the General Assembly, the Chair of the Baltic Sea Commission Working Groups on Transport, Maritime Affairs and Climate will present the activities carried out throughout the year. Member Regions will also discuss the sustainable development goals and support for the creation of a smart specialisation platform, identified as priorities in the 2017-2019 work plan. More information on these can be find in the 2017-2018 Activity Report of the Baltic Sea Commission, which will be presented during the event. 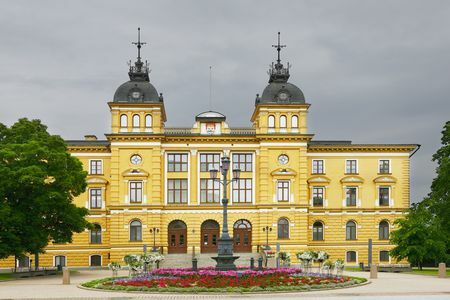 The 23rd General Assembly will also involve the elections of a new President of the Baltic Sea Commission, Vice-Presidents and the nomination of the Members of the Executive Committee. To conclude the event, Members will discuss and adopt the 2018 Baltic Sea Commission Final Declaration which conveys key political messages to the EU institutions and external partners regarding issues of particular relevance to the organisation.